Welcome to paradise! 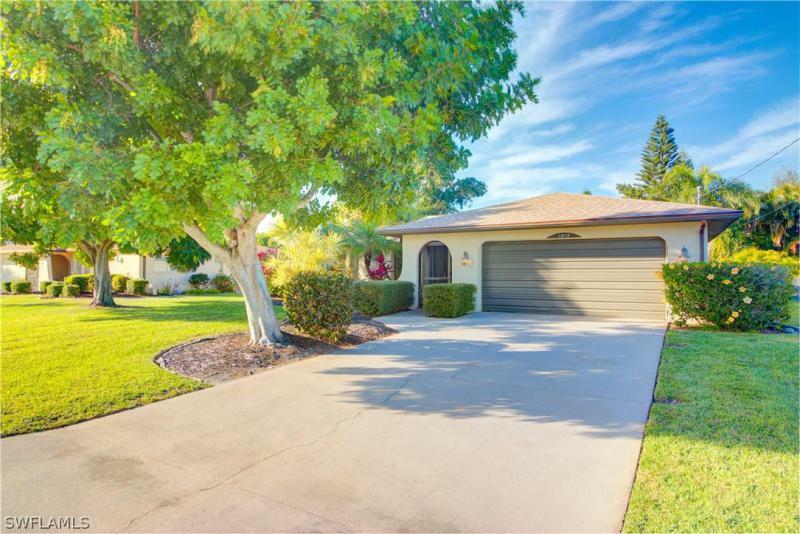 A must have beautiful pool home, located in the heart of cape coral. This home has character, charm and will make the perfect place to call home. Centrally located near coralwood shopping center, close to local favorite restaurants, shopping, schools, churches, hospital and doctors. Easy access to veterans memorial parkway, minutes to downtown cape coral yacht club, beaches and fort myers. Upgrades include: newer (2017) roof, new heat and air system, new water heater and plumbing. New stainless steel appliances, new stainless steel single basin kitchen sink with a delta essa touch 20 attic stainless one handle pull down faucet, reverse osmosis system, new extra quiet garbage disposal, new carpet in master and guest bedroom, new granite counter top with new under counter square sink and new faucet, new toilets in both bathrooms, new ceiling fans with remotes and dining room light fixture, new irrigation system, new rescreened pool cage, new pool pump motor and light. All assessments have been paid. Make sure to schedule your showing to see what this tranquil se cape home has to offer. For more information or make an appointment to see property ID 219013863.